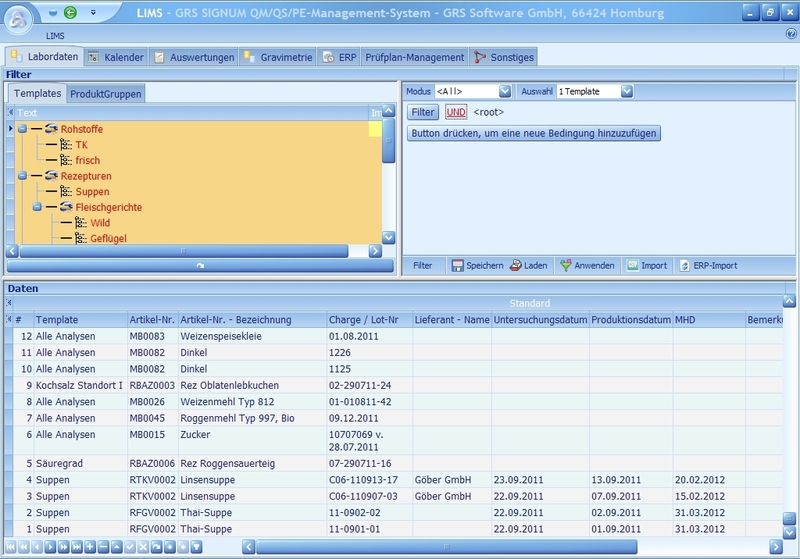 The LIMS (Laboratory Information Management System) software can be used as an independent application. 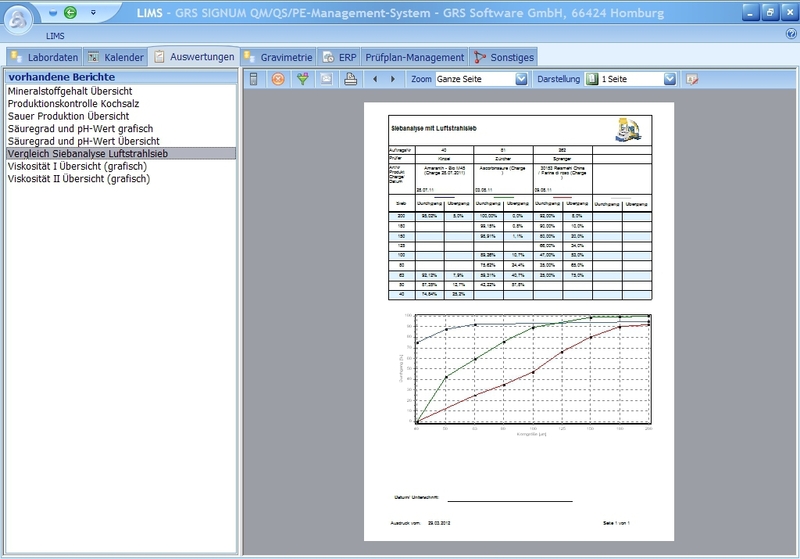 Of course, it is also possible to expand the GRS SIGNUM software with the laboratory software GRS LIMS. 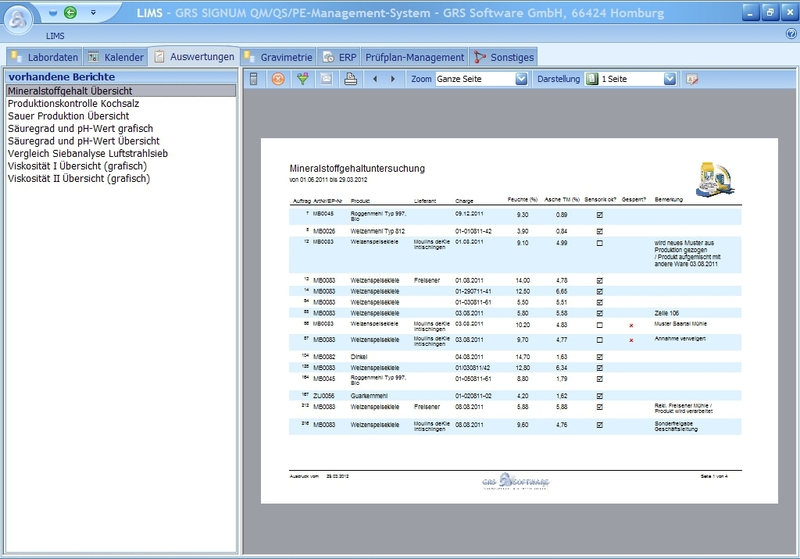 GRS LIMS is used to depict all important processes in a laboratory from receiving the sample to the creation of the analysis certificate. Via flexible configuration options, the software can be adapted to individual processes and tasks. In addition to that, data from upstream systems (enterprise resource systems, extracted data from analysis equipment ...) can be imported. Various data formats (XLS, DOC, TXT, CSV ...) can also be imported in consultation with your laboratories. 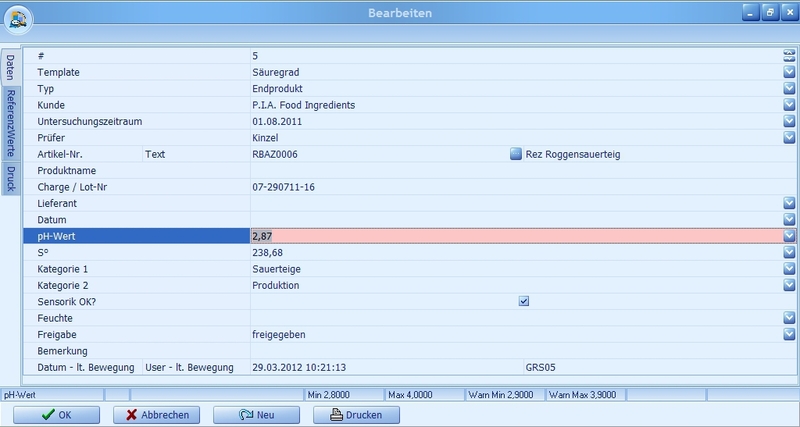 Using the ReportDesigner, any number of analyses and analysis scopes can be printed (e.g. as an analysis certificate) or exported as a data file. It is possible to create individual gathering templates for each type of test where you also define how many analysis values or analysis parameters shall be gathered. There is also the possibility of defining minimum/maximum/default values as a reference which check the manually entered analysis values for plausibility. An individual design section provides for the comprehensive assessment of all data gathered. Just enter the relevant parameters and read the trends for the analyzed values at any time. This allows quick and simple statements on the quality of the raw materials received. A comparison of suppliers or laboratories is also possible.